But not everyone agrees that the Reformed churches were right in teaching youth on Sunday. Specifically, the family integrated church movement believes that instructing children physically segregated from their parents to be morally suspect at best. But who am I to talk to you tonight about this movement? I first encountered the family integrated church movement back in 2006. I found a sister church had signed that confession—a confession that seemed to denounce youth ministries such as Sunday schools. I was told not to sweat it: the confession allowed exceptions so my church could sign it. 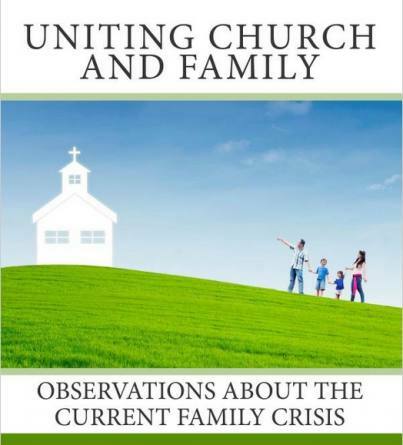 I was not convinced so I contacted the National Center for Family Integrated Churches. The email was from a Mr. John Thompson. Unbeknownst to me at the time, he was the first director of the National Center for Family Integrated Churches. Fast forward to 2011. After I published my first essay on the family integrated church movement at Wes White’s website, I got a response from one Ryan Glick. He described himself as one who had served in the National Center for Family-Integrated Churches (NCFIC), worked with Vision Forum Ministries, was an intern and a member of Scott Brown’s church. Scott Brown is the current director of the NCFIC. He had also shown my article to Scott Brown. And, no, I have never had a public rebuttal of my essay. I have also directly engaged four pastors on this topic. Three online and one at a symposium hosted by my presbytery in 2012. Their arguments, or evasions, added nothing new to what I will present to you tonight. Now, let me give a short history of this movement. This amorphous movement began a little over a decade ago, probably in 1999 with Eric Wallace’s book, Uniting Church and Home. However, this movement was not on the Reformed radar until a few years later when Pastor Joseph Morecraft offered a mixed review of the book, critiquing the movement’s rejection of Sunday school. This review was published at patriarchy.org in 2005. By this time the movement had taken its first serious toll on the Presbyterian churches. The owner of patriarchy.org had his PCA church split in two because of this and other related matters. Other churches in his presbytery were adversely affected in various degrees. However, the true impetus that propelled this movement onto the national stage was the marketing savvy of Doug Phillips. He started the largest organization within this movement: the National Center for Family Integrated Churches (NCFIC). And he promoted it far and wide with yearly conferences, a book and a movie. But the NCFIC is not the only organization that currently represents this movement. Eric Wallace, of the book Uniting Church and Home, has a website and a few conferences. There is a family integrated church directory website hosted by J. Mark Fox, who also has a book on this topic. These kinds of organizations built upon an idea are not a surprise. The surprise has been the creation of an entire denomination predicated upon the pointed rejection of Sunday schools among other idiosyncratic practices. The Covenant Presbyterian Church (CPC) describes Sunday schools and like instructional programs as “inventions of the modern church”–by modern, presumably, they also included the Scottish Sunday schools of the 1600s. To best understand this movement, it is best to understand the largest group of this movement: the National Center for Family Integrated Churches (NCFIC).